2018 is coming to an end and it’s time to welcome the new year. We are so grateful for all the support and love we’ve received on our first year of Inlace Media, so thank you to all of our readers. We are looking forward to 2019 and are excited to grow and create with you. Our calendar for 2019 has the same concept as last year’s calendar. We gave 12 wonderful volunteer illustrators freedom to create one illustration for each month. 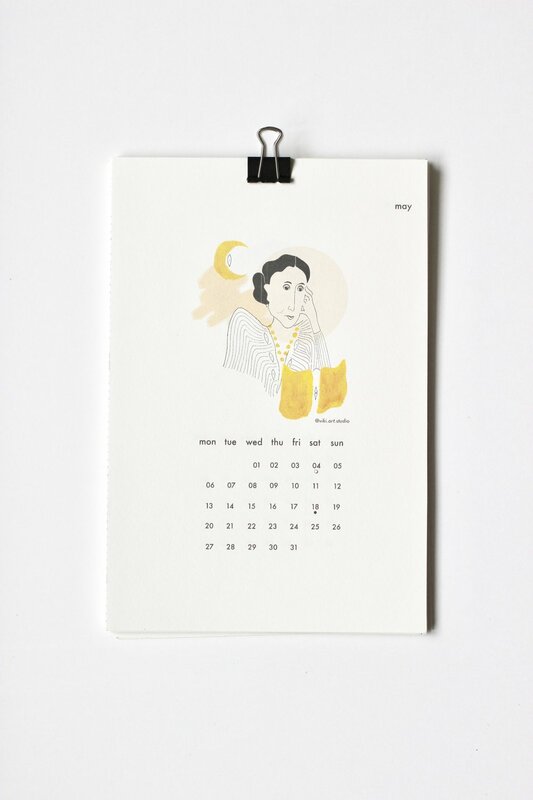 The theme of the calendar is women we admire, or are inspired by. This year we wanted to let the illustrators choose who they want to draw, so the illustrations are women/goddesses who have inspired our lovely illustrators in some way. As each month goes by, we will interview the illustrator and share the story behind the image and illustrator here on Inlace. 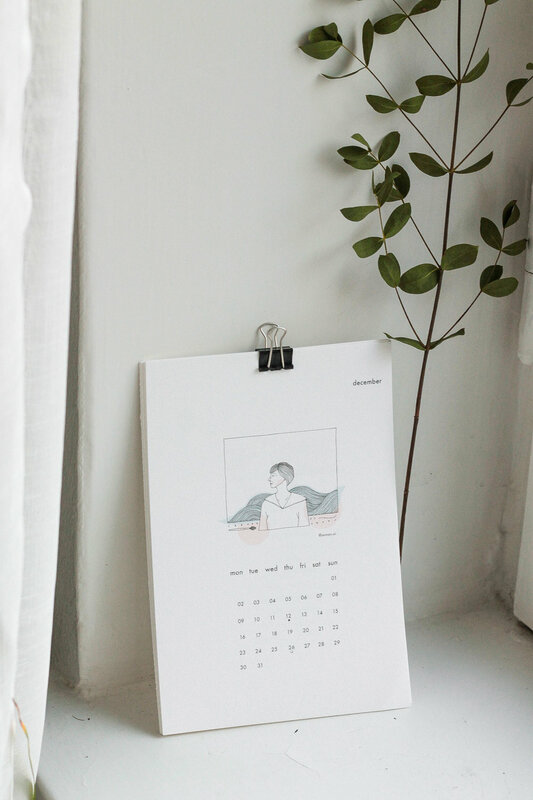 The calendar itself is printed using plant-based eco ink, on high quality recycled acid free paper. The size is smaller than last year as well, a5 to be exact. 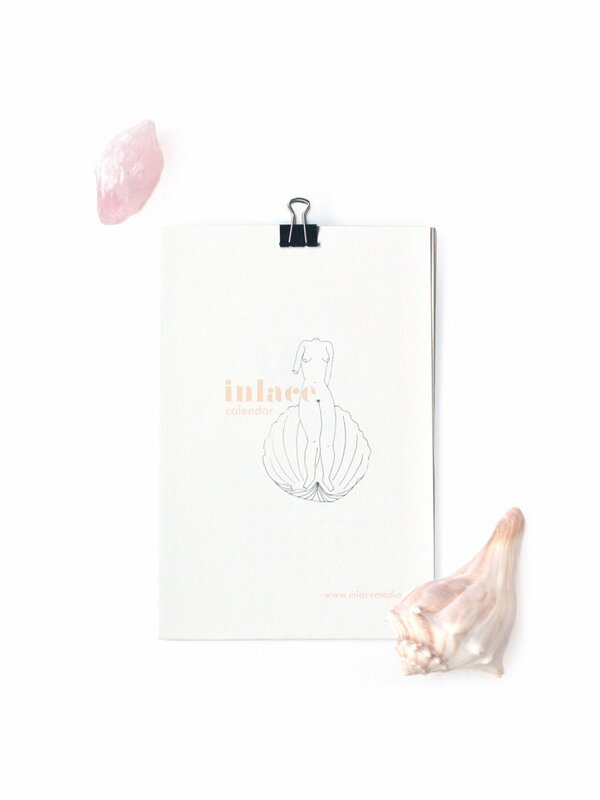 Each calendar is truly handmade, by Inlace Girls. This year we desided to do a print-version only, that will be sold on www.embroselife.com. 20% of the profits will go to a charity chosen by our illustrators and the rest will support inlace media and allow us to create more high quality content for you guys to read. 2018 has been filled with so much goodness, but 2019 will be the year of true empowerment, true growth in personal and in collective level. Let’s create from the true core of our being, let’s create together, let’s embrace community. Shall the collaboration be the new way of creating, of doing, of living. This calendar is made of love and collaboration. This calendar is what we wish our society would reflect more, so thank you all you magic souls who created with us.